Dependable scientific evidence has lagged worrisomely behind the rapid and widespread adoption of mindfulness and meditation for pursuing an array of mental and physical wellness goals, wrote a group of 15 experts in a new article in Perspectives on Psychological Science, a journal of the Association for Psychological Science. The article offers a “critical evaluation and prescriptive agenda” to help the burgeoning mindfulness industry replace ambiguous hype with rigor in its research and clinical implementations. Recent years have seen a huge surge not only in media and scientific articles about mindfulness and meditation, the authors wrote, but also in the implementation of medical interventions for everything from depression to addiction, pain and stress. The widespread adoption of therapies has put the field at a critical crossroads, the authors argued, where appropriate checks and balances must be implemented. “Misinformation and poor methodology associated with past studies of mindfulness may lead public consumers to be harmed, misled and disappointed,” they wrote. Lead author Nicholas Van Dam, a clinical psychologist and research fellow in psychological sciences at the University of Melbourne in Australia, said that the point of the article is not to disparage mindfulness and meditation practice or research, but to ensure that their applications for enhancing mental and physical health become more reflective of scientific evidence. So far, such applications have largely been unsupported, according to major reviews of available evidence in 2007 and again in 2014. Among the biggest problems facing the field is that mindfulness is poorly and inconsistently defined both in popular media and the scientific literature. According to the authors, there “is neither one universally accepted technical definition of ‘mindfulness’ nor any broad agreement about detailed aspects of the underlying concept to which it refers.” As a result, research papers have varied widely in what they actually examine, and often, their focus can be hard to discern. Along with specific, precise and standardized definitions, similar improvements in research methodology must also come, the authors wrote. “Many intervention studies lack or have inactive control groups,” Van Dam said. The field also has struggled to achieve consistency in what it is being measured and how to measure those things perceived to be of greatest importance to mindfulness. Van Dam said the situation is akin to earlier psychological research on intelligence. This concept proved to be too broad and too vague to measure directly. Ultimately, however, psychologists have made progress by studying the “particular cognitive capacities that, in combination, may make people functionally more or less intelligent,” he and his co-authors wrote. A wide variety of contemplative practices have been studied for an even larger variety of purposes, yet in both basic and clinical studies of mindfulness and meditation, researchers have rarely advanced to the stage where they can confidently conclude whether particular effects or specific benefits resulted directly from the practice. Measured by the National Institutes of Health’s stage model for clinical research, only 30 percent of mindfulness-based interventions (MBIs) have moved past the first stage, and only 9 percent have tested efficacy in a research clinic against an active control. “Given the absence of scientific rigor in much clinical mindfulness research, evidence for use of MBIs in clinical contexts should be considered preliminary.,” the authors wrote. The proposed agenda for future research is rigorous and extensive, Van Dam said. Researchers and care providers involved with delivering MBIs have begun to become more vigilant about possible adverse effects, the authors wrote, but more needs to be done. As of 2015, fewer than 25 percent of meditation trials actively monitored for negative or challenging experiences. Van Dam said recent efforts to assess the neural correlates of mindfulness and meditation with technologies, such as magnetic resonance imaging (MRI) and magnetoencephalography, may perhaps have the potential to bring new rigor to the field. Nonetheless, he and his co-authors also express concern in the article that these technologies so far have not fulfilled this potential. The authors note that technologies such as MRI depend on subjects remaining physically still while being tested, and image quality can be affected by subjects’ rate of breathing. Experienced meditators may be better suited to maintaining ideal physiological states for MRI studies than are inexperienced individuals or non-meditators. Due to such problematic factors, between-group differences in brain scans might have little to do with the mental state researchers are attempting to measure and much to do with head motion and/or breathing differences. Ultimately that’s the authors’ shared concern: Insufficient research may mislead people to think that the vague brands of “mindfulness” and “meditation” are broad-based panaceas when in fact refined interventions may only be helpful for particular people in specific circumstances. More, and much better, scientific studies are needed to clarify these matters. Otherwise people may waste time and money, or worse, suffer needless adverse effects. 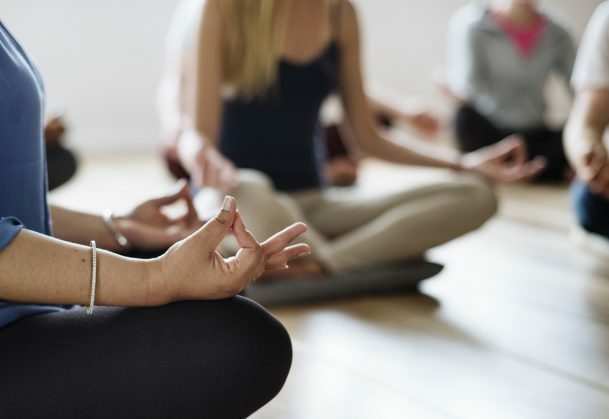 “This paper is a coordinated effort among concerned mindfulness researchers and meditation scholars to rectify this gap to maximize benefit and minimize harm from MBIs,” Britton said. Mind the Hype: A Critical Evaluation and Prescriptive Agenda for Research on Mindfulness and Meditation. Nicholas T. Van Dam, et al. Reiterated Concerns and Further Challenges for Mindfulness and Meditation Research: A Reply to Davidson and Dahl. I browsed through the published review study. I think a critical review such as this could be written for any area of research (I could give several examples). Also, we need to note that most behavioral research studies (such as physical activity interventions, assessing nutritional intake, etc.) use self-report measures, use wait-list controls, and are also subject to many different biases. Also, we need to remember that rumination, mental proliferation, worry, etc., substantially contribute to mental illness, and mindfulness practices significantly help in the healing process by reducing these types of mentation [see the following reference: Querstret, D., & Cropley, M. (2013). Assessing treatments used to reduce rumination and/or worry: A systematic review. Clinical Psychology Review, 33, 996–1009]. None of this is mentioned in that article. In general a very good article with valid insights. there is great confusion as to what mindfulness really is, and how it works. To either allay or increase this confusion (! ), linked below is a little book that provides the first explanation of mindfulness from the perspective of a neurologically based theory of learning or incentive motivation. It confirms and most importantly expands the importance of mindfulness and demonstrates why and how mindfulness can be extended to encompass one’s entire working day. The book is based on the work of the distinguished affective neuro-scientist and learning theorist Kent Berridge of the University of Michigan, who was kind to vet my argument for accuracy. The work is written for a lay and scholarly audience, and the base argument (pp.45-48) can be easily understood and its procedural entailments easily applied. In other words, it’s simple to understand, and if it’s wrong you will know it quickly! I hope you find it of interest and worthy of criticism.